After a comparatively simple super middleweight debut, Canelo Alvarez fully expects to have to earn every penny of his $30 million-plus purse May 4. Blowing out overmatched Rocky Fielding was one thing. 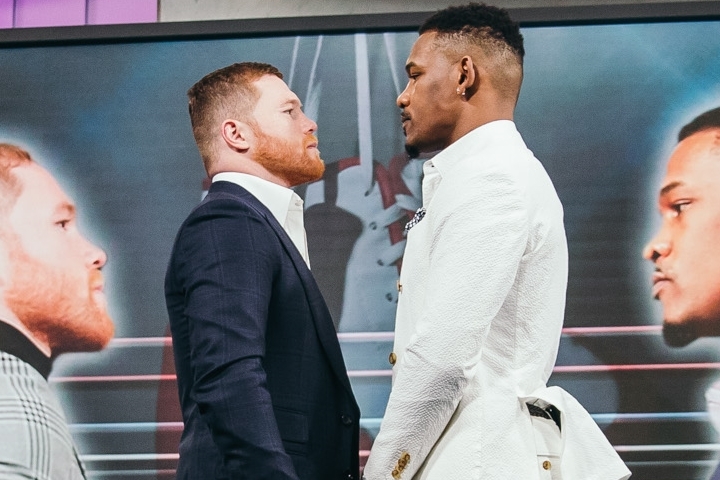 Alvarez realizes defeating Daniel Jacobs will be much more troublesome when they meet three weeks from Saturday night in a middleweight title unification fight. Odds-makers have installed Alvarez as about a 4-1 favorite against Jacobs, but Alvarez anticipates having trouble adapting to Jacobs’ style in the first few rounds of their fight. The Alvarez-Jacobs bout will be streamed by DAZN on May 4 from T-Mobile Arena in Las Vegas. Mexico’s Alvarez has moved back down from 168 pounds to the middleweight limit of 160 for the Jacobs bout. They’ll fight for the WBA and WBC middleweight titles Alvarez (51-1-2, 35 KOs) won from rival Gennady Golovkin (38-1-1, 34 KOs) in their rematch September 15 at T-Mobile Arena. The 32-year-old Jacobs (35-2, 29 KOs) and Alvarez also will compete for the IBF belt Jacobs won when he edged Ukraine’s Sergiy Derevyanchenko (12-1, 10 KOs) by split decision October 27 in The Theater at Madison Square Garden.